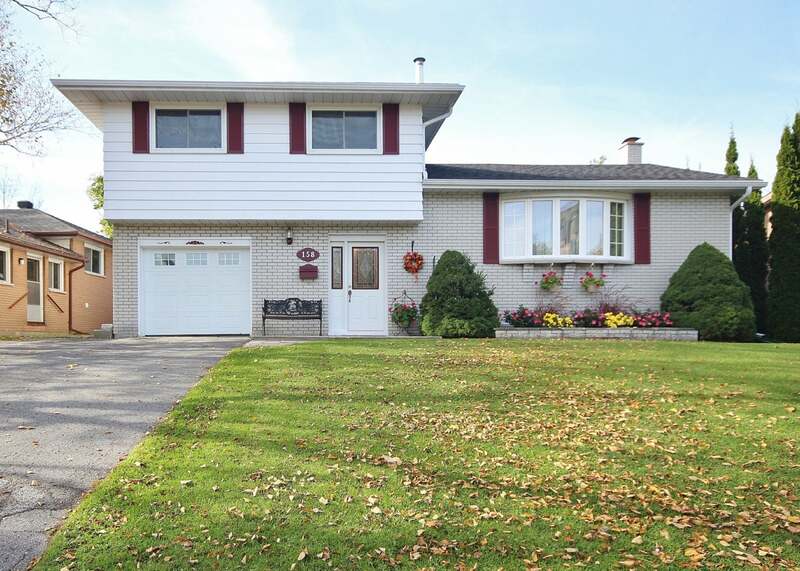 Meticulously maintained 3 bedroom, 2 bath side-split in Polson Park w/private dream backyard. Pride of ownership evident throughout featuring large front foyer, beautiful living w/gas fireplace & dining rooms both w/hardwood floors, updated kitchen offers island w/extended breakfast bar, pots/pans drawers & tile backsplash. Upper level w/3 spacious bedrooms & tastefully renovated 4-piece bath. Lower level finished w/rec room w/2nd gas fireplace, 3-pce bath & lots of storage. You’ll love the absolutely stunning/private back yard w/upper deck, 14’ x 19’ covered patio & lovely mature landscaping, this kind of privacy right in the heart of the city is a rare find! All this plus attached garage, fully fenced with 2 gates, c/air, storage shed & more! New roof shingles & eavestroughs w/leaf guard in 2016, New high efficiency gas furnace in 2013 & most windows replaced in 2007. Just steps to school, parks & easy access to downtown / west end. A pleasure to show, call to arrange a viewing. Lot Size 63.32 x 120' Sq. Ft.